There is one half of all breakfast foods that accompany coffee or tea superbly. They are by and far most appealing to the sweet tooth. But who says you have to forego all the pleasures of breakfast foods when you give up sugar? Not me! 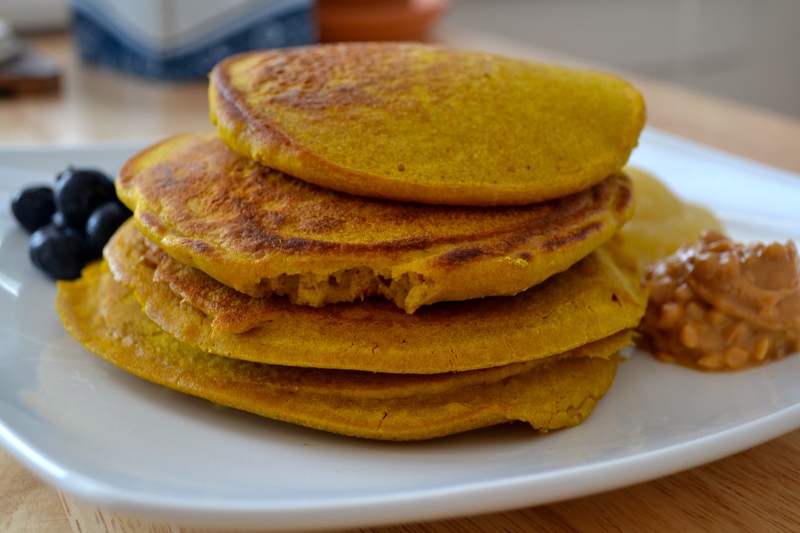 If you are following a vegan, gluten-free, or sugar-free diet, this recipe will keep your taste buds happy. 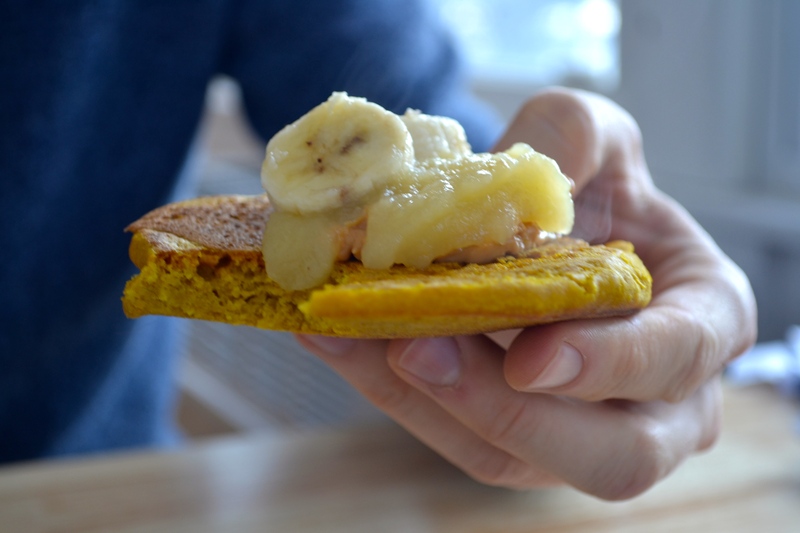 And if you’re following a plain old healthy natural diet, this recipe won’t disappoint either, even if you can’t believe there’s no wheat in it! 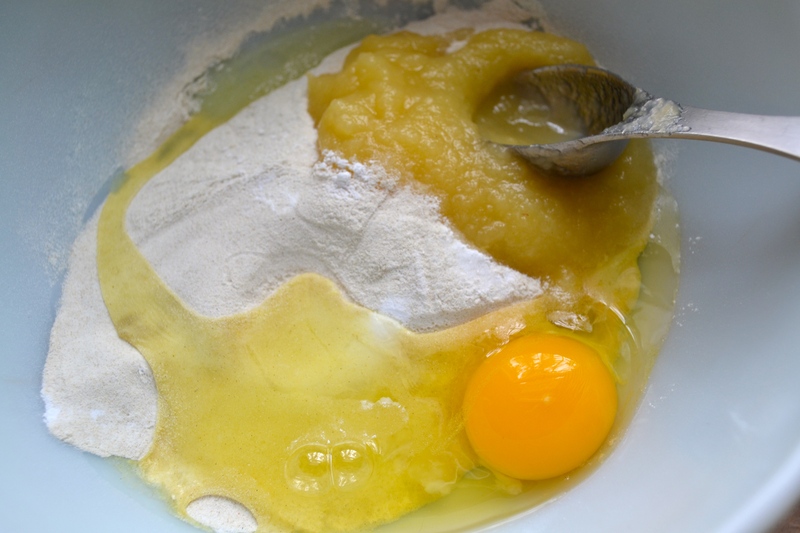 In a mixing bowl, mix together all the ingredients until you get a smooth creamy batter. It should be runny enough to easily pour (about the same consistency or slightly less viscous than cake batter). 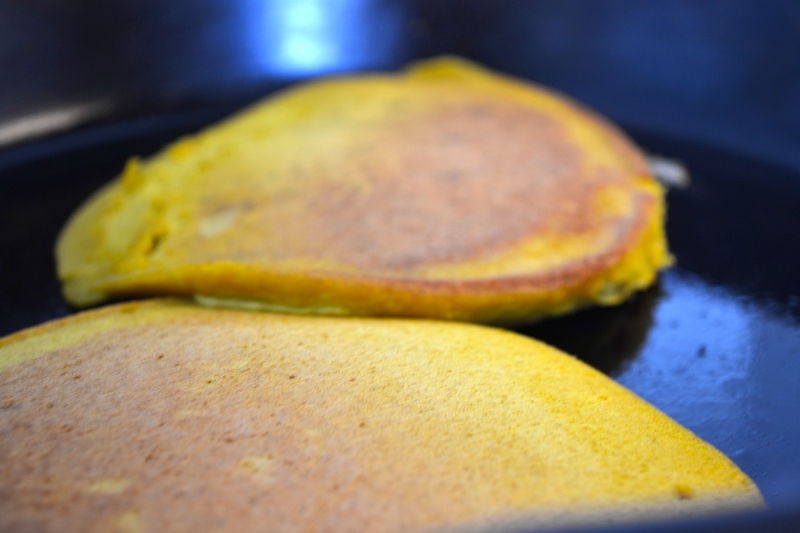 On low-medium heat, make sure your skillet is well greased with 1 tbs olive oil. 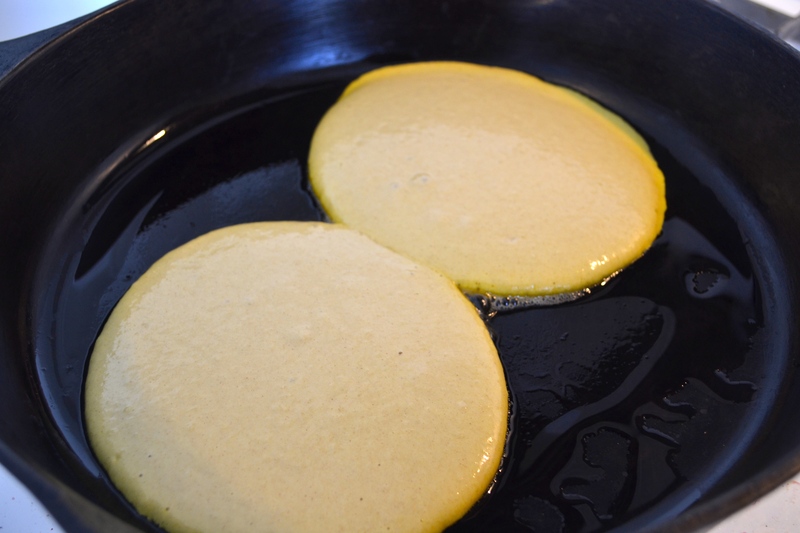 Pour your batter in one spot on the skillet while the cake forms into a perfect circle. If you have a huge frying pan like I do, you can do two at a time. When your cakes start to bubble and the bubbles start to pop, things are going swell. Once the bubbles come up less frequently, it’s the perfect time to flip. Allow the cakes to cook for another minute or so. Scoop them up and keep them warm in a toaster oven while you repeat cooking the batter once, twice, or thrice. This recipe makes 4 beefy pancakes. Add you favorites sides like frozen berries from last summer, apple sauce, bananas, fresh fruit, peanut butter. And if you’re not doing sugar free, one of my favorites is heating up some grade B maple syrup and adding a little coconut milk. It’s kiss-your-fingers DELICIOUS. 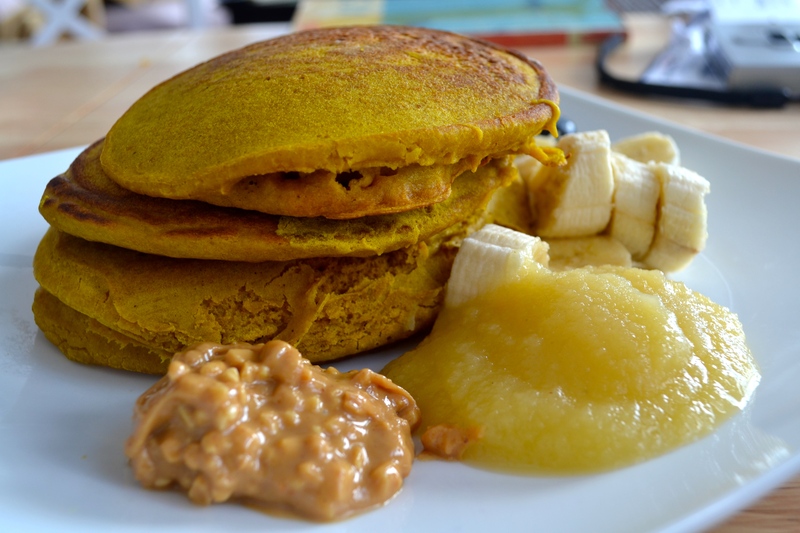 Do you want some pancakes with your applesauce and peanut butter? No time to wait for a fork! 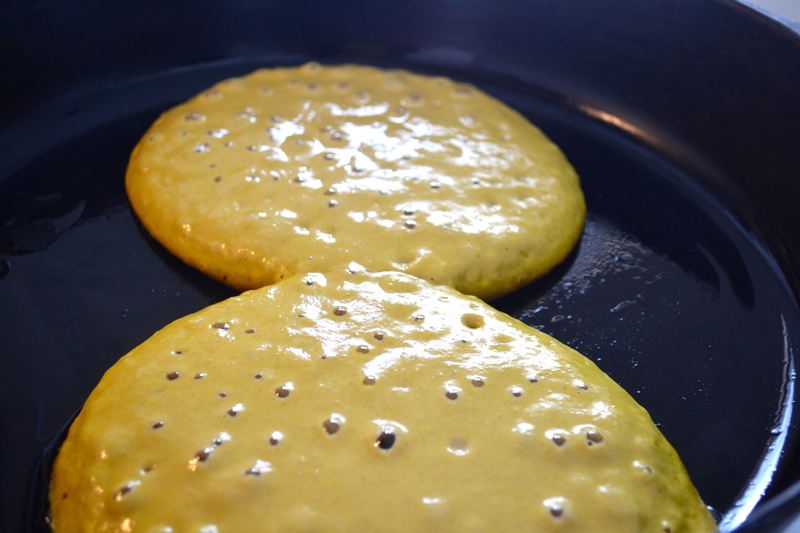 Pancake taco. 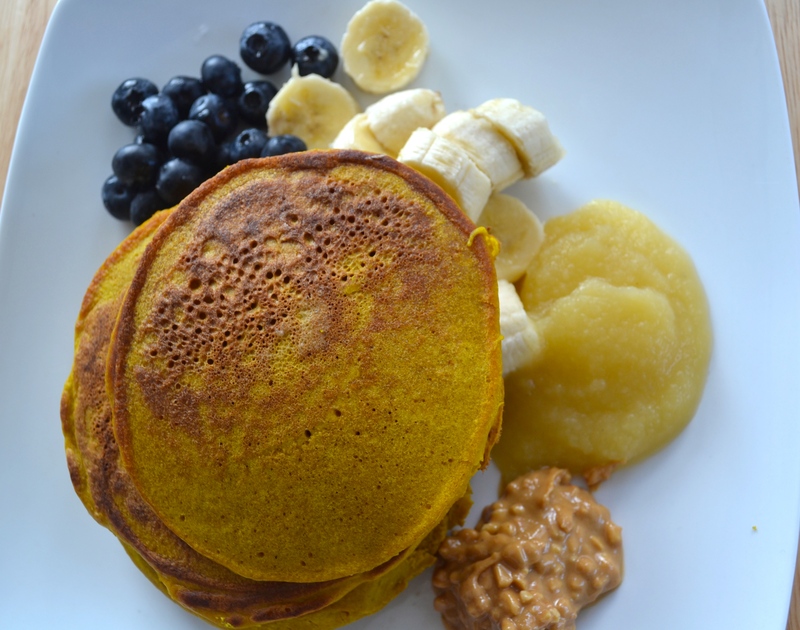 This entry was posted in Dairy Free, Gluten Free, Recipes, Vegetarian and tagged breakfast, buckwheat, fruit, gluten-free, healthy, pancake, recipe, vegan, vegetarian. Bookmark the permalink.